The decision to spay or neuter your dog is an important one, and even though the procedure is fairly routine, it can be nerve-wracking for a pet parent. But, despite the stress, it’s well worth it. The benefits of neutering extend well beyond controlling the homeless dog population — literally saving lives. It also means a longer, healthier life for your pet. 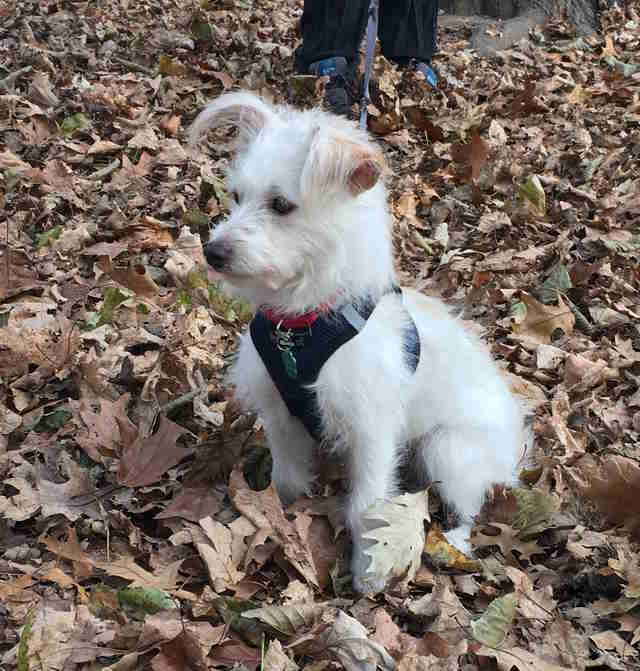 According to the ASPCA, the surgery can protect against certain reproductive cancers, cut down on a male dog’s urge to escape his leash or backyard to find a mate, and even help with some behavioral issues (fewer leg humps!). Before bringing your dog in for the surgery, so many questions flood your mind: What's the difference between spaying and neutering? (Spaying is a term for removing a female dog's reproductive organs, while neutering is the male's procedure — though "neutering" can be used for both informally.) 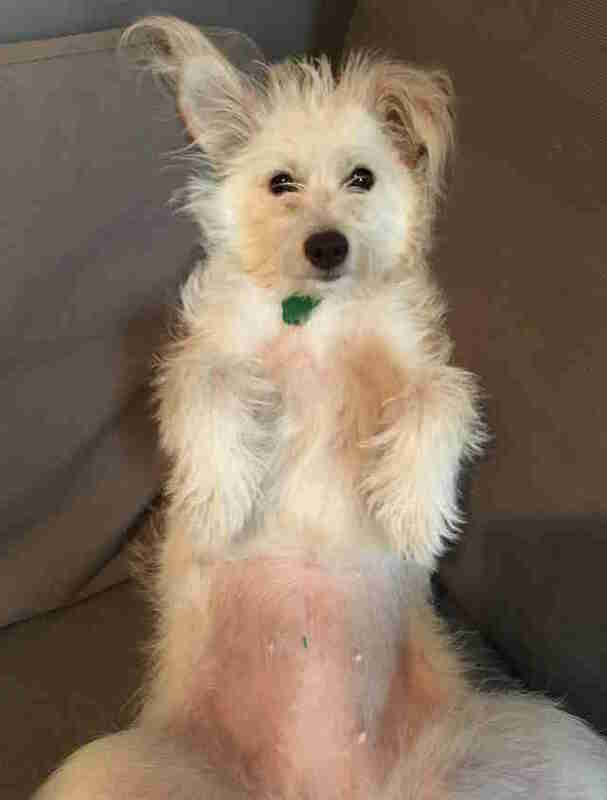 Will her personality change after she’s spayed? How long will it take to recover after neutering? 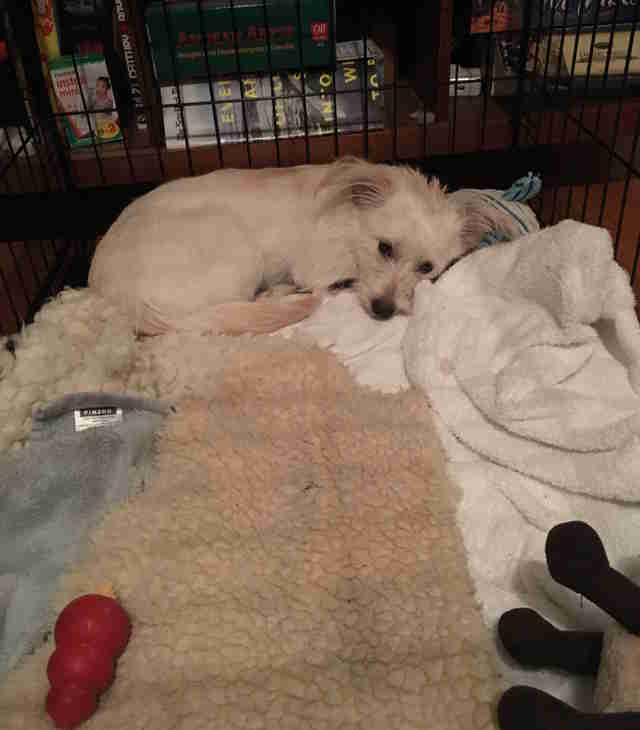 Will neutering hurt him? Will he be angry with me? What if she wanted to have puppies? I asked myself all these questions (and more) when I brought my own dog, Darcy, in for her operation. 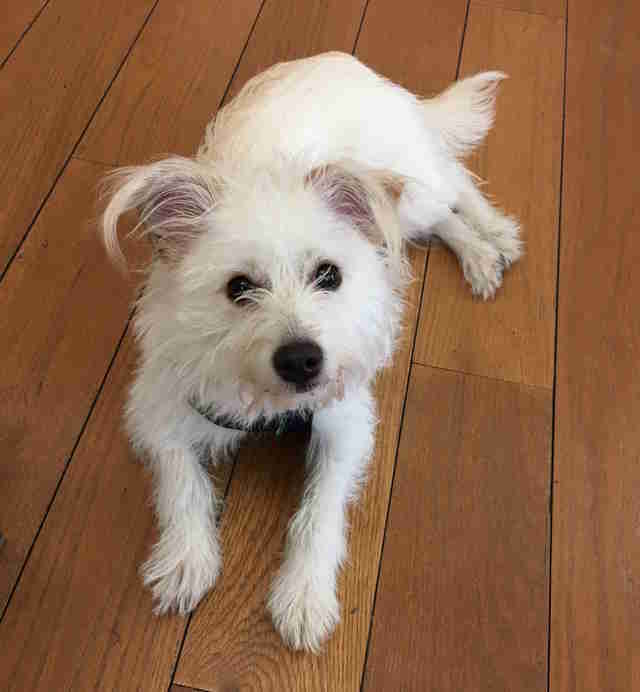 At only 7 months old, the little terrier mix could be having puppies of her own. I knew she needed to be spayed, and yet ... I was anxious something bad might happen when my new best friend went under the knife. Knowing what to expect when you neuter your dog and how to properly care for your pup as she recuperates can help put a pet owner’s mind at ease. While there are inherent risks to surgery and anesthesia, the percentage of complications is low, explains Dr. Michael Lund, veterinary staff manager at ASPCA Community Medicine, which performs over 60,000 spay/neuter surgeries a year. In most clinics and hospitals, dropping your dog off in the morning for his spay/neuter procedure means you will have your pup back that afternoon or evening — so you only need to be apart for a few hours. Anesthesia monitoring is taken very seriously, and your vet will ensure that your dog’s heart and respiratory systems are doing well during the procedure. Directly after surgery, your pup will be closely watched by the vet or vet tech for a half hour to make sure they wake up appropriately, Lund explains. Your pet is then placed in a warm, dry space where he can comfortably spend the next few drowsy hours — until he’s ready to be picked up by his loving owner, of course! Upon fetching your dog, you may notice a range of behaviors, but in all likelihood, your pup will still act like himself. When the vet tech brought Darcy out of surgery, she was shaking and yowling (and for a moment I felt like the worst dog mom in the world). 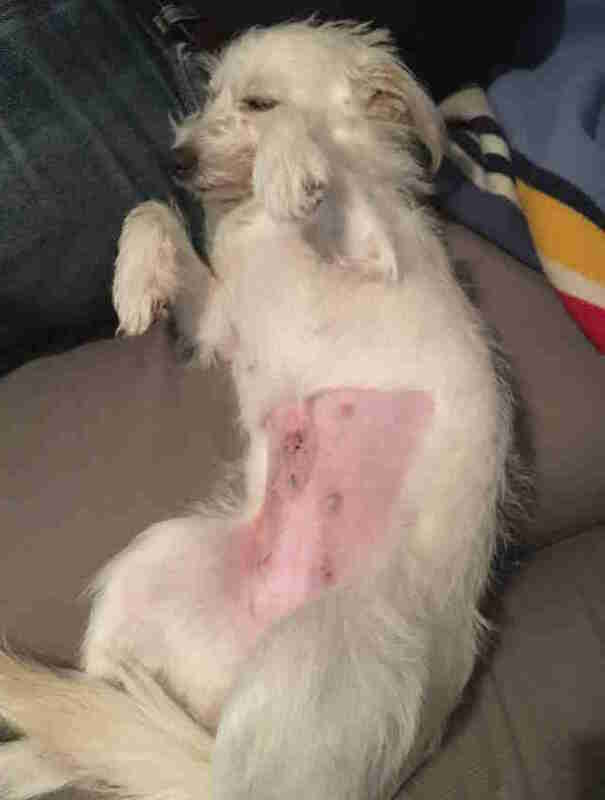 Her stomach had been shaved, and there was a red incision running about 2 inches in length down her abdomen (male dogs’ incisions will be better hidden between their legs). Pet parents may also notice a small tattoo on their dogs’ bellies indicating that they have been fixed. While the surgery is a bit more involved for female dogs than it is for males, it takes equal time to heal from spaying and neutering. “The soft tissues in the skin are going to take about the same for both procedures, and the incision sites are about the same for both procedures, so as long as there are no complications, 10 to 14 days would be the full recovery period for both surgeries,” Lund adds. To make the journey home safe and comfortable for your pup, bring a towel or carrying case to the vet. If your dog has a special toy he is deeply attached to, Lund recommends bringing it along as well so he has a spark of excitement after his big day. You may be tempted to give your dog a tasty treat after his ordeal, but it’s best to leave those at home, as they could lead to stomach upset after the anesthesia. When you arrive back at home with your dog, Lund recommends feeding your pet a moderately sized meal. After having fasted for over half a day, a bit of regular food will help with the healing process and getting back to a normal routine. 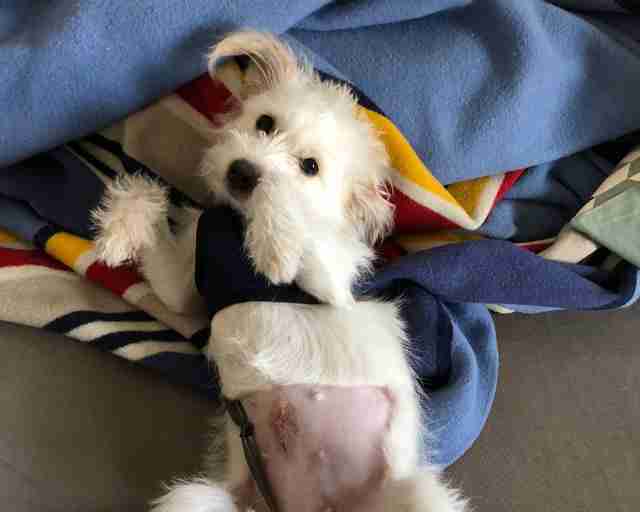 You will want to curb any excessive activity that could disturb the incision site while it's healing, but a quick walk on the leash within the first 24 hours after surgery — for bathroom purposes only — is also a good idea. If your pup doesn’t want to do anything but rest, that’s OK too! Let your dog chill out in a warm, dry environment, with access to fresh water. 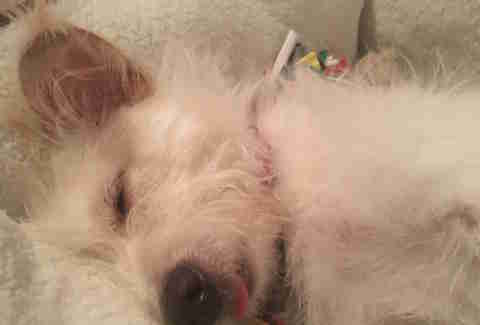 “Every once in a while there is a dog hit hard by the anesthesia, and they will need a full night of rest and recovery at home before they start acting like themselves again in the morning,” Lund explains. Pet owners should check the surgery site a few times in the first couple days to make sure everything is healing as it should. If you see discharge, redness or opening of one of the sutures, it’s time to bring your pup back in for a checkup. Some licking of the area will be normal, according to Lund, but if your pup can’t seem to leave the site alone, he may need to don the dreaded cone of shame or, for smaller dogs, a soft collar. Some side effects of the surgery may appear worse than they actually are. “For the surgery to be performed safely and cleanly, we do have to clip quite a bit of hair, so razor burn from that is expected,” Lund explains. “Sometimes it looks worse than it is and will resolve on its own.” The suture material can often cause a reaction as the healing takes place, Lund notes, so you might see swelling around the incision site. If your dog is walking funny or has a stilted gait or severe tummy upset, these symptoms could suggest there was an issue with the surgery and that it's time to call your vet. By this point, your pet should be back on his normal routine, and the incision site should look fairly healed. At 10 to 14 days, any external sutures will be removed by your vet, and if your dog had absorbable sutures, the incision site will be looking less prominent (though it can take up to two months for them to be completely absorbed into the body). In all likelihood, you won't notice any behavioral or personality changes in your dog, says Lund, though altered hormone levels may make some pets less aggressive or territorial. If your female dog gains weight after spaying, that could be due to overfeeding and lack of exercise — not the surgery. Your dog will go about his (or her) life just as before, but without the risks associated with reproduction.